Mary Beth Volpini: May the 4th be with Dante and Spidey too! May the 4th be with Dante and Spidey too! Today this guy turns 14. 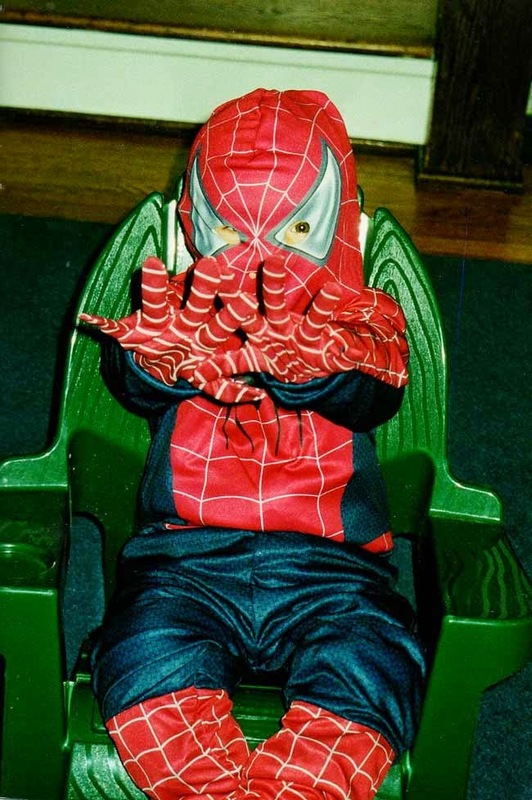 He has loved Spider-man since he found this costume when he was 2. For some reason many of the superhero movies seem to come out around his birthday and this year was no exception. 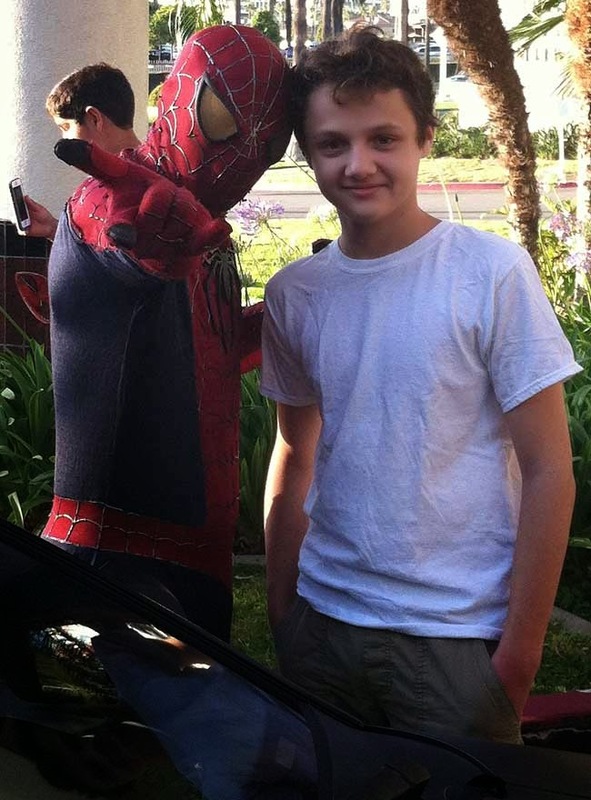 We invited a few of his friends and his Sister and I all went to see the The Amazing Spider-Man 2 on Friday. Before the movie he even got to pose for a picture with his idol. We enjoyed the movie and the Birthday boy felt it was the best Spider-man movie of all of them. Tonight the 3 of us will dine at The Melting Pot for his family birthday dinner. He usually selects Benihana, but he is mixing it up a bit this year. Happy 14th Birthday Dante and many more.